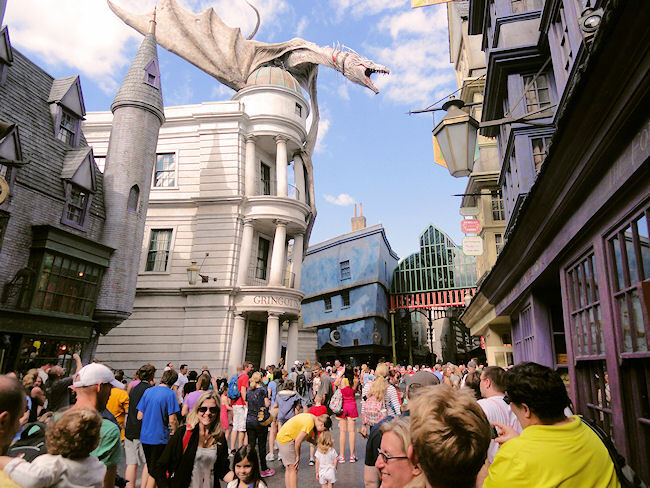 When the Wizarding World of Harry Potter opened at Universal Orlando resort in 2010, the fans went mad. For so long, they had waited for Harry’s world to become real and they were finally starting to see their dreams come true. Since then, it’s expanded to become a double attraction in two interlinking parks, allowing you to immerse yourself fully in the Harry Potter experience. 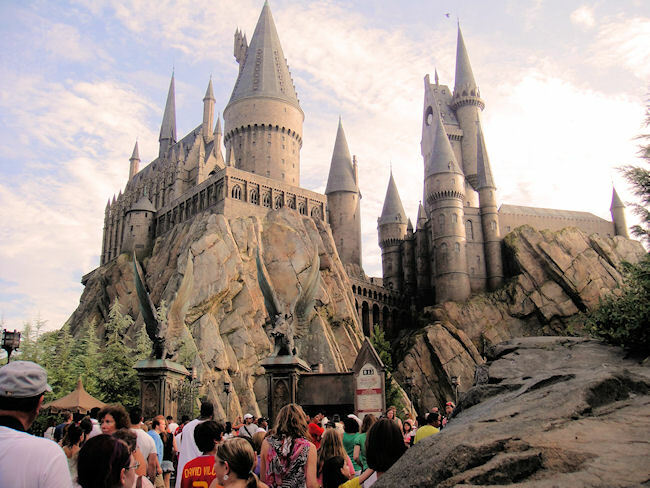 So what are the must do’s at the Wizarding World of Harry Potter in Orlando? As Ollivander said, the wand chooses the wizard, so when you step into his shop in Diagon Alley, be prepared for an interactive experience. 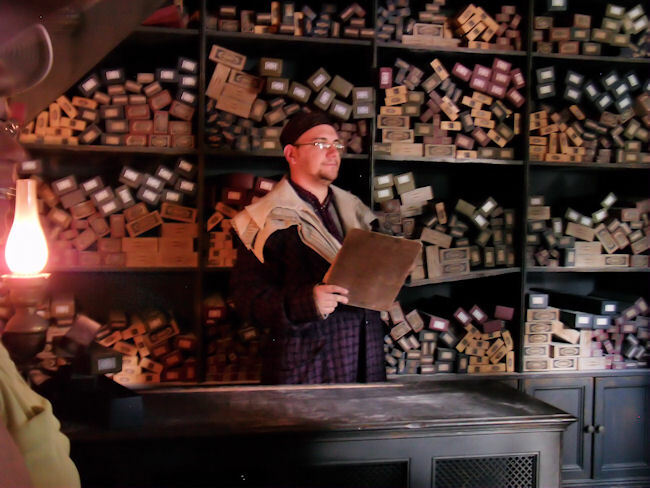 A Wandkeeper will hand you a selection of wands, so you can choose the right one – or rather, the wand can choose you. Who knows whether you’ll end up with dragon heartstring like Hermione, or unicorn hair like Ron? Find out at Ollivander’s and purchase the wand that chooses you. Don’t forget to use your map and find out where you can cast real spells around Diagon Alley and Hogsmeade! With the two sections of the Wizarding World of Harry Potter now being interlinked, you’re best off starting your adventure in Hogsmeade. The Florida heat is punishing, so as the day wears on, you’ll want to head for cooler areas, which leads you nicely to Diagon Alley. 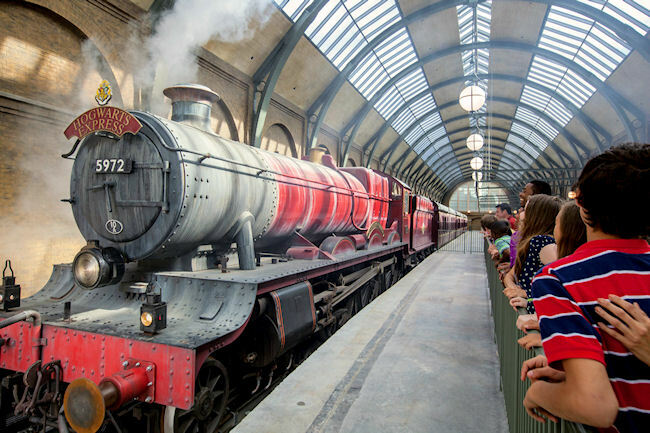 Catch the Hogwarts Express and you’ll find it’s a little bit cooler on your arrival to Diagon Alley, with areas designed to keep the witches and wizards at a more comfortable temperature. The world famous wizard bank allows you to trade in your Muggle money for Gringotts banknotes. Head to Carkitt Market, enter the bank and speak to the goblin awaiting you. Ask him anything you like and he’ll give you an answer. Once you’ve got your wizard money, you can spend it almost anywhere within the Universal parks, so head over to the Three Broomsticks for a drink. You can eat at either the pub in Diagon Alley or the Three Broomsticks in Hogsmeade – both serve traditional British pub food. Make sure you wash it down with a good old butterbeer as well. You can choose to have it warm, cold or frozen, giving you three very different versions of this wizarding favourite. If you’re feeling brave, try a Green Fishy Ale from the Hopping Pot in Diagon Alley. It looks a tad strange, but tastes amazing! Not for the faint-hearted, the Dragon Challenge sees a Chinese Fireball and Hungarian Horntail race each other through the sky. These dual roller coasters will make you feel like you’re riding a dragon as they twist and turn, flipping you every which way. If you’re an adrenaline junkie, the Dragon Challenge should be at the top of your bucket list. You can visit the dark and mysterious Knockturn Alley and see the vanishing cabinet in Borgin and Burkes, or pop into Dervish and Banges for all of your Hogwarts essentials like robes and your copy of the ‘Monster Book of Monsters’. Take a stroll to Honeydukes, where you can stock up on your favourites like Fizzing Whizbees, Chocolate Frogs and of course, Bertie Botts Every Flavour Beans. Finish the day with Weasleys’ Wizard Wheezes, the ONLY place to buy all of your joke gifts and gadgets! 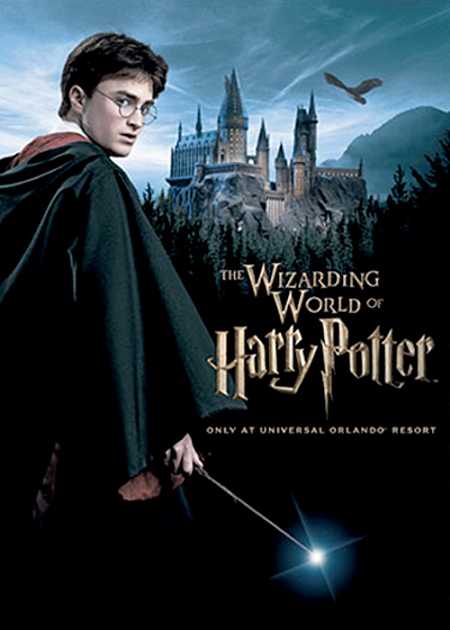 The Wizarding World of Harry Potter brings the magic to life for everyone both young and old. Whether you’re going with your family, as a couple or even with a group of friends, you’ll be fascinated, amazed and completely hooked by everything that Hogsmeade and Diagon Alley has to offer. 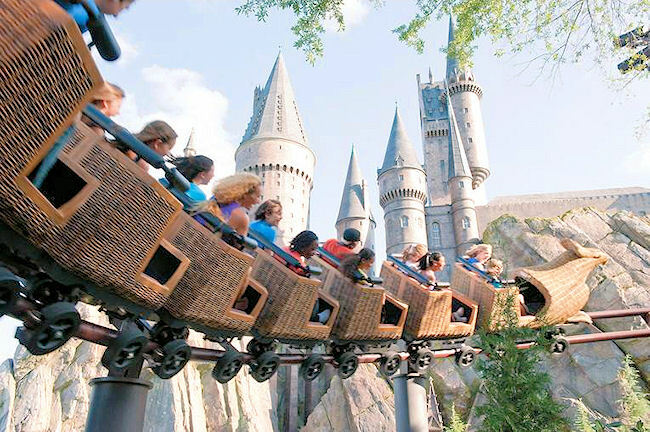 Be sure to book the park-to-park tickets for Universal, so that you can absorb every single bit of the Wizarding World of Harry Potter and make it a core part of your holiday to Florida. Bon Voyage can help you with booking your holiday of a lifetime to Florida and we’ll recommend the best hotels to stay in, the best restaurants to eat in, and even give you a recommended itinerary so that you can squeeze in everything Orlando has to offer. To book your 2016 Florida holiday, or for a last-minute trip this year, contact Bon Voyage and one of our holiday specialists will tell you everything you need to know. Thoughts, experiences and opinions on travel to North America from the UK's leading USA tailor-made holiday experts.